Over the last 2 year I have spent many hours on a site called graphicriver a place for selling design templates of all sorts also it has sister sites one of which is called 3docean todays interview is from the 3d site . It is a great place with many talented authors so I have decided to interview artists from the site and this is the first of many more to come. I hope this will help people understand how other designer work and what processes they go through. 1. How did you get started in the design industry, and what is your advice for people thinking of doing the same? Actually, I started design all by mistake ! It all started when I discovered a trial dvd of 3dsMax8 at my friend’s place, i had lots of free time back then, so I experimented a lot.. At first I had nothing to do with 3dsMax, sometimes I just fired it up, and looked into the empty workspace not knowing what to do. Then i pressed F1 for help, and surprisingly enough, found awesome tutorials that helped me start with the basics. I started to read tutorials from the internet and caught up the pace really quickly, I started to grow exponentially, then I discovered 3dOcean.net, and became a top author there (currently top 9th). But there is a special “thank you” for LEGO, that developed the spirit of a creative inside of me from my very early childhood ! So if you want your kid to become a rockstar 3d artist, buy him tons of LEGO ! If you are looking to start learning 3d.. We’ll I’m going to tell you that it will be an epic journey, 3d is not as easy to learn as Photoshop or Illustrator. Mastering 3dsMax took me 4 years ! But i can proudly say that I am self-taught, and that i never regretted it as I have learned to use the adobe creative suite in parallel to 3dsMax, as their workflows combine at times. 2. What is your process for starting a new piece of work? Before starting any particular project I try to stay away from thecomputer, and get inspired from the real world. I look particularly at materials and surfaces that I will be recreating in 3d, and evaluate how they look in real life, how light affects them, how they cast shadows, etc. Then I go and sketch and doodle and draw, so that I memorize the sketch or project or model aspect by aspect.. This helps me visualize the project inside my head before I even start playing around with polygons. 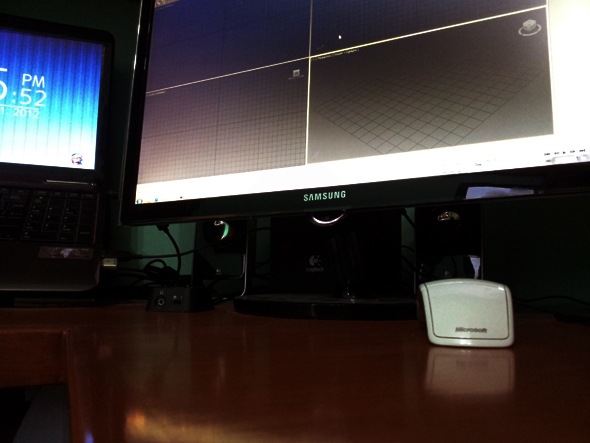 Only after I get a clear picture of what I will be doing, I fire up 3ds max, and go creative! 3. Do you have any favourite websites for finding design inspiration? 4. What do you think are the most important skills for a designer to have/develop? The most important things for a designer to have are determination to consistently improve and the ability to take all criticisms of their work on board. Everyone develops their own style and their own way of doing things, but you should also have the ability to understand the fundamentals of design. It’s ok to be able to create super explosive, energy filled & high octane flyer or poster designs, but can you create a simple, basic, text based leaflet for a local shop or business, that doesn’t need in-your-face graphics? Understanding the importance of single core subjects like typography, contrast, colour palettes etc, is something that I am still taking a lot of time to improve and work on, as it’s something that’ll be key to your success much more than your ‘sick Photoshop skillz’. 5. What does your work area look like and what make it special to you? For a person to really become a designer, he/she should start to think like a designer.. Look at things differently, grow a love for solid materials; like metal, wood, marble, etc. Also a designer must regularly try to describe solid colours for him/herself, it stirs imagination a lot, and is potentially very inspiring. Few of the other essential skills that a designer must have are ethics and patience; a designer must be ready to work an extra few hours free of charge, just to please the client.. Because a real client is a happy client. A designer must always tend to perfection, but never achieve it; it’s all about the dynamics and growth that helps designers become great. 6. What trends will emerge and be popular in 2012 in your opinion? It is dangerous to guess what will happen tomorrow, who knows what may happen.. But the trends in the 3d industry rarely change, the trend was, and always will stay “make it as real as possible”.. And with emerging rendering software, and out-of-the-box hardware, we will soon start to mix up reality and illusion. And that’s on a general scale.. But i think that 3d trends will be different for mobile platforms.. I have a feeling that soon mobiles will adopt real3d interfaces and systems.. And this will be a revolution for us as 3d artists. 7. When you are not designing what do you get up to? I must admit that design affects my social life a lot, it just takes most of my time.. But when i am not designing, i prefer to catch up with friends and family.. Sometimes play a computer game looking for inspiration, or just for fun. I usually play football (soccer) on a weekly basis, it helps me stay fit and all sporty. Best sport on the planet! 9. What do you do when get creative block and how do you overcome it? When I have a designer’s block, I am usually depressed, and get irritated easily. I usually go out or play an extremely forceful football game with my mates to ease the stress. Then things get back to normal. Nothing eases blocks for me better than some fresh air and movement ! 10. What are the current design goals you’re looking to achieve?